Heya Perfume Posse! 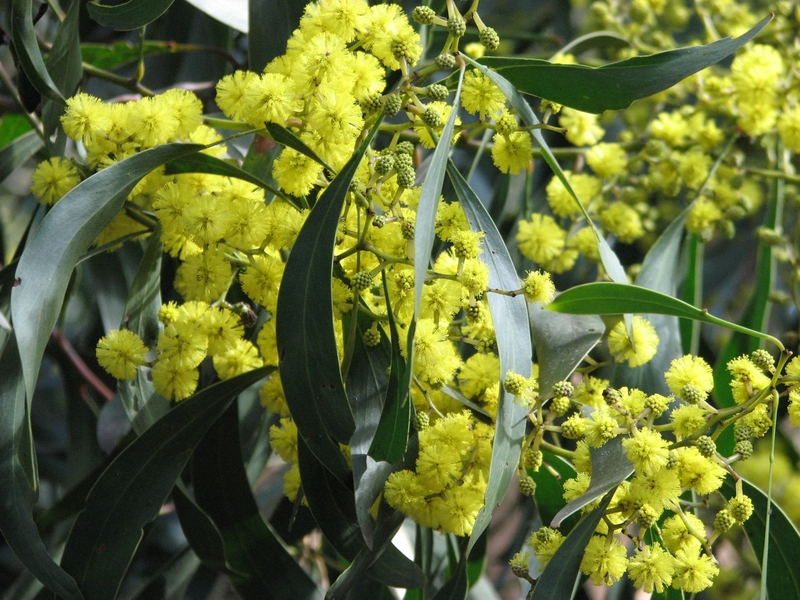 Portia from Australian Perfume Junkies here and today I’m looking at a scent, Mimosa Pour Moi, that reminds me of winter here in Australia because we call mimosa “wattle” and it is in fact an Acacia (Acacia Pycnantha (literally “of dense flowers”) is the floral emblem of Australia). Today’s fragrance had passed me by completely till just recently, coincidentally the wattle has been blooming here too reminding me of the smell because we used to pick it near our family house, the one that I am back living in now. The memories are wonderful, like photos. Mimosa Pour Moi is a softened, prettied up mimosa. There is very little of the honeyed/urinous/human copulation bent that can so often be a part of the mimosa fragrance story, here we have a clean and bright version of mimosa, a cucumber freshness that sparkles but still keeps the fluffy powdery-ness. Mimosa Pour Moi jumps off my skin in the first whiff all green, sappy, just been cut-ness of the cucumber skin forward but surrounded by a snuggly blanket of mimosa. Victoria writes of the flowers being far away from you and the scent carries on the breeze, if mimosa/wattle was a heftier scent then yes but it hits me more like sitting in a vase of fresh water in the same room as you but not within hands reach. I too get a very slight warming to almond but absolutely none of the animalics. The sweet/tart/green hit of cassis is also clean and well aired, and floaty. Vanilla is a shy one in Mimosa Pour Moi, it is there and not there, a powdery hum in the background that could be more almonds or maybe vanilla, amorphous and indefinite. About 2-3 hours later, depending, and gone. I can respritz or choose something else. Though the life is short that is a good thing sometimes if you like to change your fragrance throughout the day, and if you need some more Mimosa Pour Moi you can. It reads like I don’t like Mimosa Pour Moi, you’re right, I love it. It is sweet and pretty, generally not really my style, but it’s full of memories. If ever I move to another country I will take this to remind me of winter in West Pymble when I was a kid running around the creek, bush and ex-quarry that starts one street from this very house that I find myself back in so happily, surrounded by friends who have become my family, pets and perfume. This video reminds me how Mimosa Pour Moi by L`Artisan Parfumeur wears, it’s clever, pretty, fun and joyful: also when you get to the end you want to play it again. It is definitely missing some base though, no prob-lem-o and no harm done because for what it is, it is absolutely purrrrrfect! Please enjoy an accapella, except for cups, Cup Song. Both your words and the video really brightened up my morning. Thank you so much for sharing such warm happy memories. Your description set such a lovely scene and Cups! was a little cherry of fun on top. I may have to include Mimosa in my next sample set. I’m glad to have brightened up your morning. If you do try the Mimosa Pour moi do come bnack and relate your experience, have you ever tried a Mimosa fragrance? My only experience with Mimosa is the drink – and that’s certainly a lovely association! I’m only about 1 year in to my perfume adventure/addiction and I’ve been sampling whatever strikes my fancy. Any systematic effort to hit certain notes or perfumers sounds too much like work. I’ve added Mimosa pour Moi to my running list of perfumes I’d like to sample (a list heavily influenced by the Posse) and I’ll let you how it goes. Thanks again for the fun! If the perfume is as cheerful as the video then it’s a very cheery fragrance indeed! Thanks for the review and the adorable video. And, I’d like to say that you are fortunate to get to live in your childhood home again. I am profoundly grateful to my parents for setting me up so well and helping to make sure my life could be as amazing as it’s been. Being back here is incredible on so many levels. I also love MPM on its own and for layering to bring out the mimosa scent in other perfumes, for example YSL Cinema and Guerlain Champs de Elysees (I know most people hate this one but I like it). I LOVE Champs-Elysees. I have every strength and am so glad everyone hates it because its so affordable, I can spritz like crazy. I always enjoy your posts and reviews, Portia. Victoria’s review on BdJ seduced me about this one too. Does it last on you at all? I have never smelled real mimosa or wattle 🙂 Nice to know it’s at FragranceNet, they always have percentage off coupons, too. PS thanks for the smile via video! Fragrant life is around 2 hours, 3 on a good day. You need to take it or have a purse frag for after. Victoria often draws me in, she is a beautiful, wicked, temptress. I like this one, too! I’m always surprised I do, since it’s so ‘pretty’ – but you know, I LIKE pretty! and I like that vid! It’s funny, isn’t it? Sometimes all you want is pretty. If I had less perfume or a day job this would getv infinitely more wear. I like Mimosa Pour Moi (and I also like Champs de Elysees). Definitely a good video to start the day! YAY! Mary K! We are scent twins. Sometimes anyway. Champs Elysees is magic. 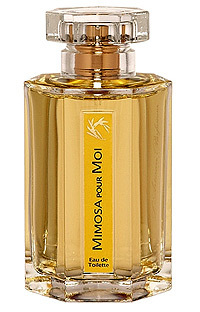 Mimosa pour Moi is one of my favorite spring scents, it just hits the spot after a long winter. I did a major mimosa sampling last year, and this was the clear winner for me out of all of them: light and pretty, and I love the hint of cucumber that I get from it that keeps it from being too twee. I can imagine you wearing Mimosa Pour Moi. I’d love to read about your Mimosa frenzy one day. HA HA HA!! I think you are COMPLETELY safe with MPM. It is as clean and fresh as Mimosa can be. Beautiful. About living at home, the Australian Aborigines have a belief that you have to go back and live where you were born as an adult to close the circle. You make me want to try this one. 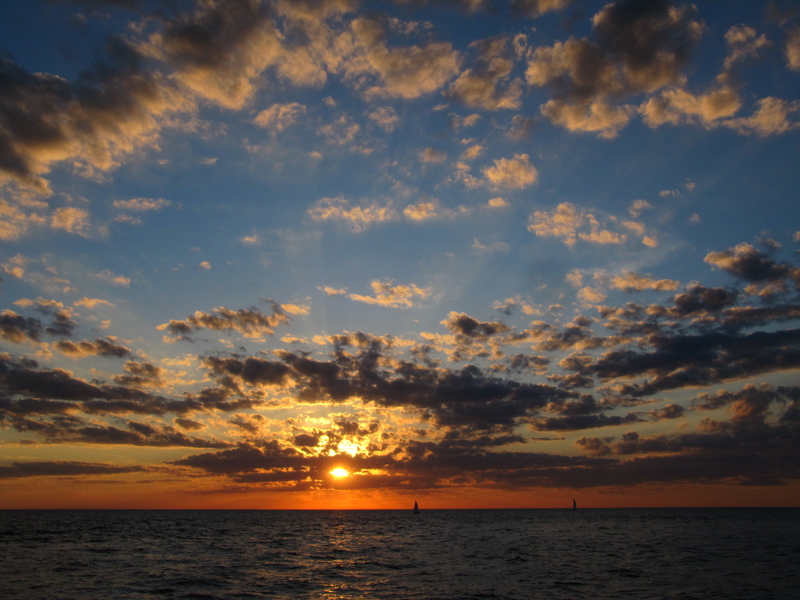 Sometimes just being pretty is good enough. L’Artisan perfumes don’t last very long on me usually. I’m trying to think if I’ve actually smelled mimosa. I’m not sure. It’s wonderful when a scent can take you back to happier times and places. Do try it, it won’t last on your skin forever, not even a whole evening but it is lovely, pretty and sweet. And yes, sometimes being pretty is enough. Portia, as I replied to Victoria in that post, wattle is an autumn/winter scent for me too. If you ever get the chance, have a sniff of Acca Kappa mimosa if you find it, it smells just like it! It’s the most pared down ‘just mimosa’ I’ve smelled, and because it was my first I guess, no other comes close. I will look out for Acca Kappa, is that a tree, frag, manufacturer or something entirely unrelated? I think it must be a perfume and will look it up on Fragrantica. Lynley, Mimosa is not on the Acca Kappa website anymore, sorry.